This is a collaboration between Marjorie Leet Ford and David Litwin. A set of special programs on food in fiction -- started in 1997 but never aired till now. Julia introduces classics "about eating, some cooking, and most of all about people." Stories are performed by actors or the authors themselves, and sometimes chefs step in with recipes. 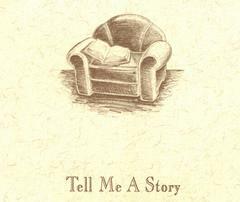 Contemporary short stories performed by their authors -- usually recorded in the intimacy of their own homes. After some conversation and commentary, the treat is a complete, dramatic story. HUNGRY: Julia Child Presents "A Dickens Holiday Feast"
JULIA CHILD Presents "Lunch with M.F.K. Fisher"
JULIA CHILD Presents "Lunch with Edna O'Brien"